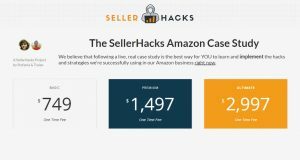 We believe that following a live, real case study is the best way for YOU to learn andimplement the hacks and strategies we're successfully using in our Amazon business right now. Maybe you won’t like what we teach or won’t like how we teach. Or maybe you just won’t like us. 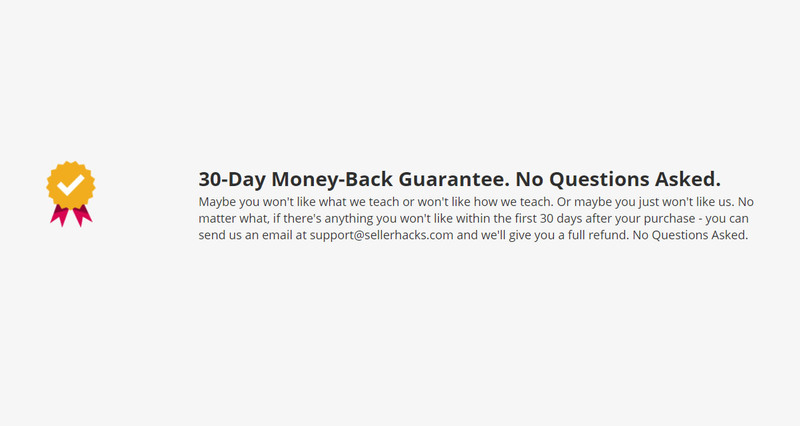 No matter what, if there’s anything you won’t like within the first 30 days after your purchase – you can send us an email at support@sellerhacks.com and we’ll give you a full refund. No Questions Asked. Yes, 30 days – no questions asked. If there is anything you don't like or if you just changed your mind, simply send us an email at support@sellerhacks.comand we'll send you a full refund right away. Please use the word "Refund" in the subject. 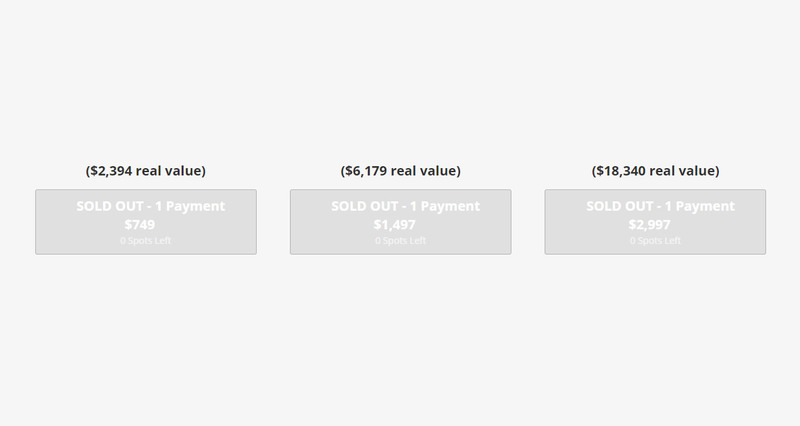 No, all payments are processed by Stripe, one of the most trusted payment processords in the world. We don't handle, process or store any of your credit card information or physical address. We'll only store your name and email address. You will receive an email with an NDA and a Liability Waiver that you will need to sign. The email will be delivered through HelloSign and you will be able to sign electronically – no printing or scanning needed – you just type your name. Once you've signed the legal documents one of our employees will check your payment details and then she will create an account for you.You will receive a username and password to log in to the members area. We're 2 weeks late. Isn't that an issue? Actually no. You get access to more information from the very beginning. Also, we're still at the product research phase so it's easy for you to catch up if you'd like to follow along. What's the structure of the course? Almost every day, sometimes once every 2-3 days we publish a new video showing you exactly what we've done for the case study product. Then at the end of each week we have a recap webinar and a Q&A webinar – just in case you didn't have time to follow-along – it's a way for you to catch up. Then at the end of every month we do another recap and another Q&A, going over all the content and progress of the part month. Is this case study meant for beginners or for advanced sellers? Advanced sellers can take the hacks we share here and there and implement them in their existing business to accelerate growth. However, as an advanced seller you might get bored with part of the case study when we cover the more basic stuff. Beginners will benefit from watching us pick, launch, rank and sell a product from A to Z. We start with opportunity research and go all the way to off-Amazon sales and a potential exit. However, this case study is not for people who don't know the basics of selling on Amazon. 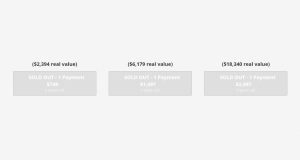 If you've never sourced a product before or don't know the core of running an Amazon FBA business, then this case study is not for you. We expect people who signed up to have gone through one of the basic Amazon courses out there. Yes, you'll find the links to the payment plans under the "Join Now" buttons. We don't have wiki content for Seller Hacks yet. Are you familiar with Seller Hacks? Please quickly share in your own words what Seller Hacks is all about! Share in your own words what Seller Hacks is all about.